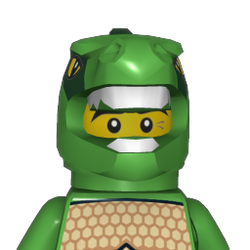 Hi, Lego ideological team, designers and fans. Here is a Lego-master Stas. I haven’t written to you for so long, because I lost my mother on Christmas in 2017 and I can’t use the computer myself. In memory of her, I want to present you a project, which we once started together. 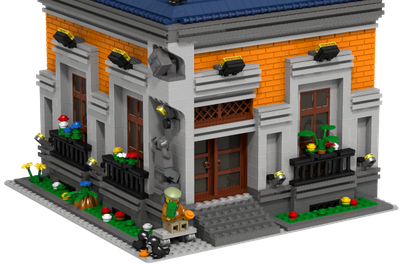 Your house rules demand a potentially l new Lego-product to be something we haven’t seen before, not a kind of slightly changed model of some series. This year (2019) my beloved Lego of the Pirates series becomes 30 years old. My previous projects, such as pirate chess and a pirate ship, were devoted to its 25th anniversary. This time, I want to present you “Black Water Lily” ship, the French imperial flagship. It includes the best features of all the ships I have known for 30 years: from the legendary Black Sea barracuda 6285 (1989) to the captain Silent Mary’s ghostly ship 71042 (2017). I have combined them, because everything new is well overlooked old. It is one section longer than the ship 10210 (2010), so the distance between masts looks more proportionally. My ship has got 3 masts and12 not moving cannons. The company usually makes two cannons less than gun ports for them and a turning mechanism for each cannon. My version makes the ship cheaper and more impressive by saving expensive parts of the rotating mechanism. The deck and roof of the captain's cabin can be removed, so it is possible to play inside. 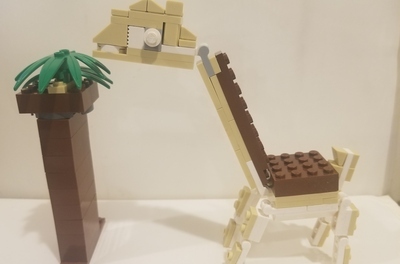 I specially haven’t thought over the outfitting of the indoor premises, so that fans can do it themselves, because Lego have always developed the imagination. Also this allows me to make the model cheaper and easier to assemble, because excessive detailing can make them unprofitable in production even in the exclusive category (ULC). There should be 17 team members. It seems to be a lot, but your company released a tank model from “Star wars” with 35 figures (imperial attack aircrafts) as a marvelous bonus model in 2007. All the modes I refer to, I can extra illustrate with update pictures. In my opinion, the best captain of this ship will be a vintage flag officer of the blue coast. Sometimes you reissue vintage figures as a collection target box for fans, so there should be no problems with this: 12 ordinary soldiers to cannons, a young man for a crow's nest, two officers and a prisoner (there is a cage with a crane on the mast for him). The stairs reach the crow's nests on every mast of my ship, because Lego Company is very attentive to such things. To be historical authentic I also propose red epaulets for ordinary soldiers, gold ones for officers, black ones for a captive pirate’s leader, white epaulets and gloves for the flag officer as a sign of the highest military rank. Also Lego has always had a shoulder-belt for swords and daggers as parts of the military uniform. But before the release of the set 4191 (2011), they were just painted and did not allow to carry weapons letting the hands of the figures free. I propose to use sword belts for figures from this set. There should be swords and muskets for all the soldiers, guns for officers, a map for the captain, a telescope for the young boy and handcuffs for the prisoner. It would be another nice innovation if all the figures had hat pieces and hear pieces, so it would be possible for fans to change them to their own taste. Sails of the ship I took from the set 10210. Please, use cloth to make them, not paper. Your company did it to make the imperial flagship of the red coats 6271 in 1992. Blue coats also deserve their flagship, because earlier it was just a small Caribbean clipper 6274 (1989). The ship is targeted at an audience of 10+. The complexity of assembling is average. The model will cost 50-100 $. I use at most the largest parts to make the assembling easier, to reduce the number of parts and to take down the final price. My ship is minimally decorated with lanterns and shields with crowns on masts and the captain's cabin, so it looks to be royal. Semicircular elements such as like on the Bounty Hunter’s ship 6243 (2009) give the cabin smoother and more beautiful view. The bow figure of my ship is the spider from the anniversary series of mini-figures collection 71022 (2018). 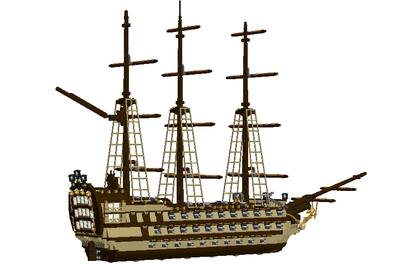 I hope that the fans of the Lego’s Pirates series will be pleased with my «Black Water Lily» ship. Please tell my email how to contact your moderators.